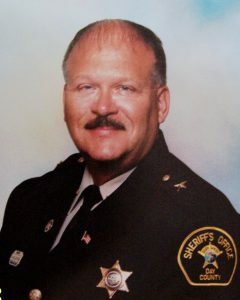 Sheriff Barry Hillestad has served as the Sheriff of Day County since 2007. He began his law enforcement career in 1997 when he was hired as Police Officer, and later Chief, in Waubay, SD where he served for just over 4 years. He then went to work as a Deputy Sheriff in Day County, becoming Chief Deputy before being elected sheriff. Sheriff Hillestad is a founding leader of the South Dakota Law Enforcement Memorial Assistance Response Team. Their mission is to assist any Agency and Family in South Dakota when a Law Enforcement death occurs. Barry is an avid hunter and member of Ducks Unlimited and Pheasants Forever.